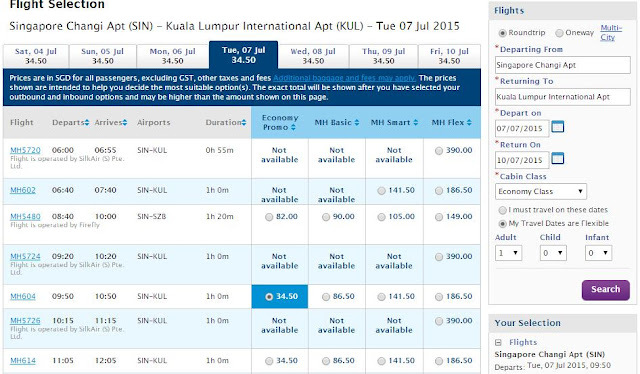 Welcome to my trip report on Malaysia Airlines short ride to KUL (Kuala Lumpur) and back. I booked this flight purposely is to fly the airline's 737 with Boeing Sky Interior and also the airline offered a great deal which was too hard to turn down. My previous 2 attempts to fly the carrier's new Boeing 737-800 were unsuccessful. The first flight was because of an aircraft changed to Boeing 737-400, that was to be my last flight with this airline's 734 before this type was retired, you can check out the report over here. The second flight, I got the old 737-800 which used to operate for Firefly, you can check out the report over here. Hopefully I would be lucky on my 3rd attempt. Its nothing special with the website but at least its workable and user friendly. What caught my attention was the very low fare - $128 for both ways including airport tax, it was a no-brainer. I booked it immediately after selecting the flights of my choice. Later on, I wanted to change my flights to another date since I booked my EVA Air flight to Taipei to attend an event but I was told by the airline's staff that I was not able to change it, so after considering for a while, I decided to go ahead with the trip, but forfeit my Langkawi sector and do 2 one-day trips to KUL instead. This allows me to take one day off while on the other day (Friday), I would to go up on Thursday night with Air Asia and returning in the morning on Friday morning, and the good thing about it is I won't not miss work on Friday. Once that was decided, I booked my TigerAir (KUL-SIN sector) and Air Asia (SIN-KUL), trip reports of them to come. Since I can't change my MH ticket, this was the best solution I came out with. I paid $128 for the tickets which is very restricted. The selection of seat is only available during check-in, but if you insist on getting a seat, you have to call the office and make a payment for it. I tried the airline's mobile application, it's quite good. Preferred it over the airline's webpage. I was able to view my booking on it and it was automatically saved. You can do it 48 hours before your flight. I did that once its opened and selected 21A for my flight up to KUL. I had a feeling that the flight won't be full and I was right when I was on board. Here are some photos of mobile website online check-in. It's easy and fast to use. Business Class seats: I would be surprised if I could select it. Economy Class seats: I decide to choose the seat near the rear. Plenty of seats to choose from, I decided on row 21 since its one of my favourite numbers. Once that was done, I confirmed my check-in and received this. In the end, I didn't use it and got a boarding pass at the check-in counter instead. I woke up at 7 am and headed to the airport half an hour later, reaching there about quarter to 8. That's how close I live to the airport. I made my way to terminal 2 after a stop over at Terminal 3. Got my boarding pass at the Malaysian Airlines Check-in counter and I spent the rest of the time at the air side, watching the planes in action. Its either you love or hate it! Durian - one of the popular fruits in South-East Asia. Checking my flight, making sure that there is no delay or cancellation, that is travellers' worst nightmare. The check-in counters of Malaysia Airlines, there were a few people in queue but it didn't take long before my turn. The check-in staff wasn't very sociable but at least I got my boarding pass quickly. My flight was departing from gate F50. Originally, it was supposed to be at E20. Walk around a bit before I made my way to the gate. Some restaurants over here facing the tarmac, very nice for aviation enthusiasts like myself. Did a quick check on the inbound flight, 9M-MSF, one of the airline's owned and new 737-800 was going to fetch me to KUL! Finally, I got to fly on the airline's new 737 with the Boeing Sky interior. That is one of my targets for this trip. Fortunately for me, F50 wasn't too far away from the central part of the terminal 2, so I hanged around near that area before it was opened. The aircraft arrived late and no explanation or apology was given after boarding the aircraft and the departure time went past, we only pushed back at 1122 which was around 17 minutes past the schedule departure time. Here are some photos of the Business Class seats. It looks pretty decent and comfortable, 2-2 seating configuration. According to my friend, he told me that he found them to be adequate for the regional routes. Decent legroom space, this is a lot better than some of the airlines in Europe that offer 3 seater (Economy seats) and the middle seat is blocked, that to me doesn't count as business class. 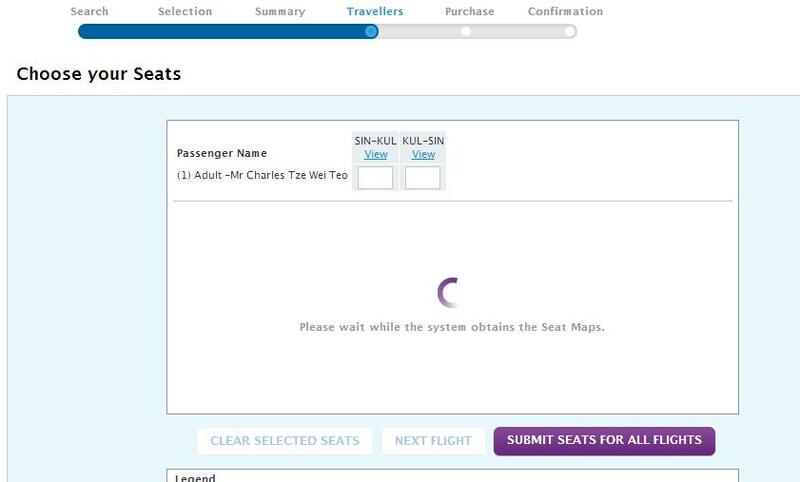 I am tempted to try this business class seat the next time I fly with this airline to do a comparison. The In-flight Entertainment system is the same as the Economy Class. 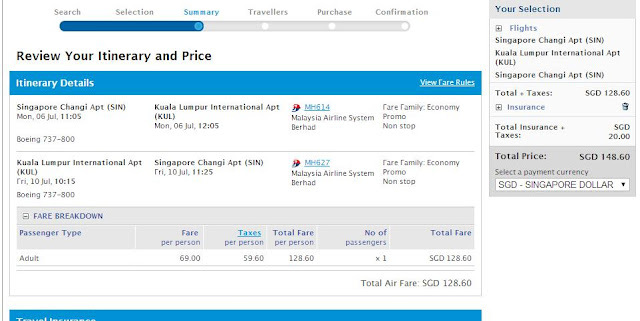 Comparing to Malindo, it loses out. The colour of the seats look nice, but the seat pitch is tight and it isn't as comfortable as Malindo. Comparing this cabin to Malindo or Batik Air. You decide which cabin is nicer. Does the airline's uniform matches the cabin? I don't think so to be honest. The rear cabin was mostly vacant. The flight turned out to be only 30-40% full in Economy Class, the few rows around me were vacant. Nice to be on an almost empty flight. Easy job for the crew, more space for each passenger but bad for the airline, perhaps the previous sector KUL-SIN's load was better. If it wasn't, the airline could cancel this flight and transfer us to other flights, glad that didn't happen. Photos of the IFE system - there's a USB port for you to charge your phone. I wasn't impressed with the legroom space. The in-flight map wasn't working, it only showed me this and that's it. Disappointing. Selection of entertainment. The system was switched on from the departure gate to the arrival gate. Since the flight was short, earphones were not provided, you can use your own though, enough time to catch a couple of short TV dramas. The movies selection is limited. The touchscreen of this IFE system isn't good. I have to press hard in order to get it working, can be frustrating. While the interface is not difficult to use, its quite basic and isn't very up to date for today's standard. The flight map feature needless to say was a disappointment, perhaps it wasn't turn on for my flight. About the airline's fleet, however I couldn't access the pages. I have yet to fly with Maswings, perhaps in the near future. I did a quick visit to the toilet, the condition of it was bad. Cleaners at Changi Airport didn't clear the mess in the toilet bowl. A bag of peanuts and a choice of drink - Orange and Apple Juice were served. This set of crew except one were pretty nice and professional. Even though this was just a short flight, the crew were always there to ensure the light load of passengers (that made their work load easier) but at least they bothered to, unlike the crew on board some other airlines. That one stewardess didn't seem interested, she wasn't very friendly or bothered to respond when I said hello, luckily for me, she was working at the Business Class section. The rest of the crew including 2 male crew were nice. 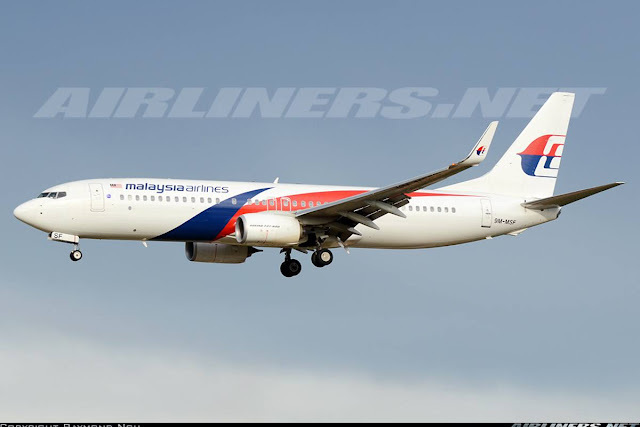 It brought back memories of the old Malaysia Airlines that I flew many years ago, pleasant and beautiful crew walking around, helping passengers who needed assistance. Here are some of the photos taken before departure to after landing, please enjoy! Parking beside a TigerAir's Airbus A320 which I would be flying with on my return, was hoping to fly on this with the 'sharklets'. Pushing back, the weather looks great for flying. Once our engines were started, we taxiied to runway 20C for departure. Passing by SQ's newest Airbus A330-300 at this time, 9V-SSG which was featured on the airline's Facebook page. The taxi to the runway was very fast, in fact we were the only one at the runway. We reached the threshold and took off immediately. Some bumps occurred while passing through clouds. Soon, we were cleared of the clouds and the cruising part was smooth for most parts of it. The cruise lasted for less than 10 minutes and we soon started our descend. During our descend, speedbrake was deployed to slow the aircraft down for approach speed. As the traffic at KUL was pretty light at that time, we were soon on final approach to runway 32 Left. The ride from this point became slightly bumpy, but nothing to worry about. Landing was quite rough but we touched down firmly on the runway and slowed down using the engine's reverse thrust. Once we were on taxiing speed, we exited the nearest taxiway and taxied to our gate which took around 15 minutes. Passing by KLIA2 from a distance. Taxiing pass the old and current livery of MH's Boeing 737-800. I was very glad not to have gotten both aircraft as they are fitted with the old cabin. 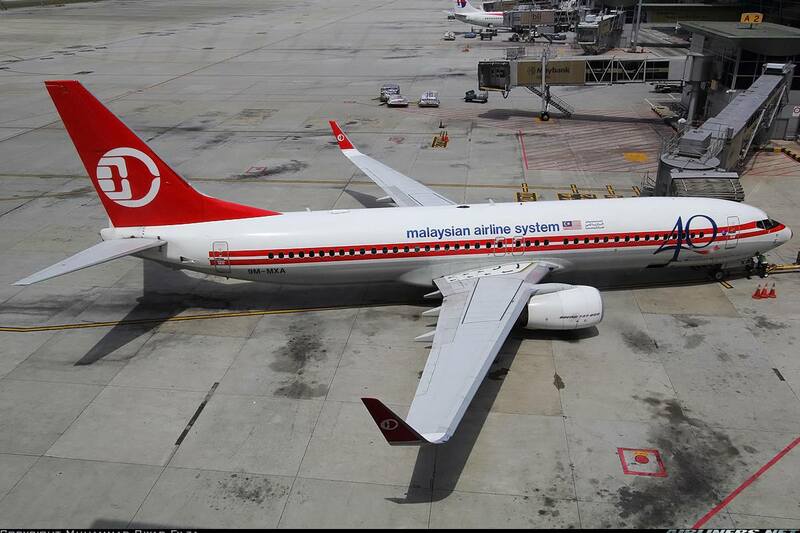 I like the old livery, it looks classy. Please let me know if the above information needs to be altered or updated, thanks! 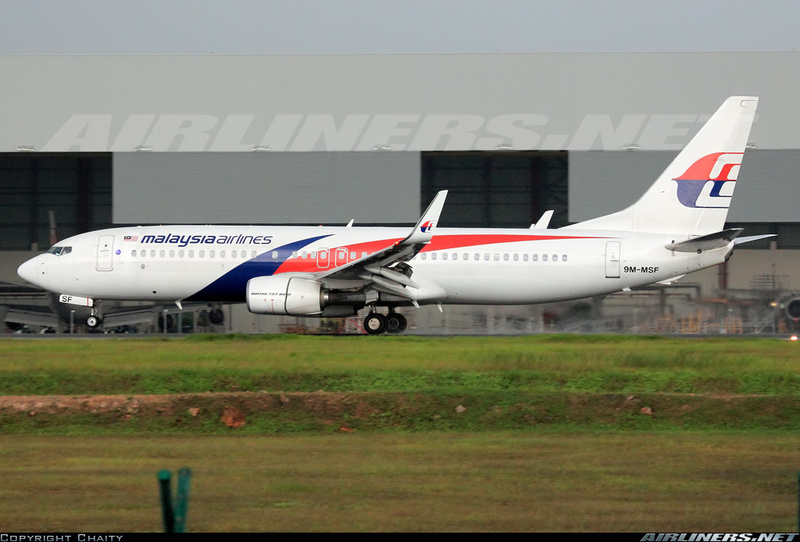 We parked beside another Malaysia Airlines Boeing 737-800 at the main terminal building. Music was played during take off and landing, I feel that helps to relax the nervous flyers a little bit. It was my 3rd time lucky as I got to fly on the airline's newer cabin and also on the aircraft fitted with Boeing Sky Interior. 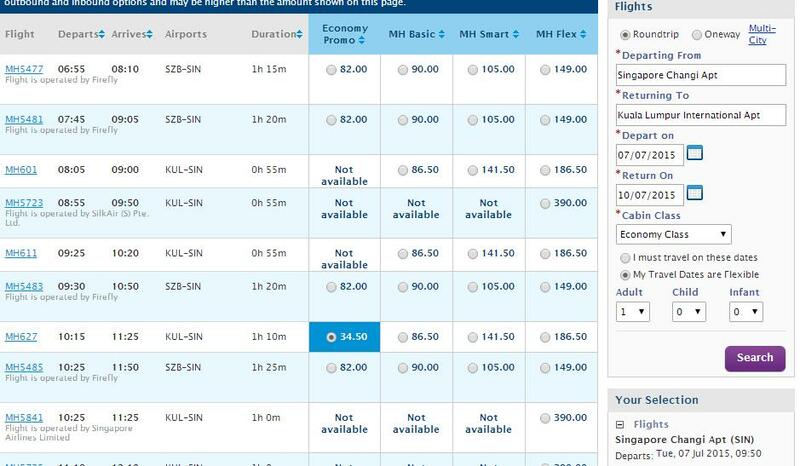 This airline flies all types of 737 on SIN-KUL route and it depends on your luck which one you will get. For a less than an hour flight, it shouldn't bother you, but for flights longer than 3 hours, the old cabin could be a disappointment for some. The airline should standardise the fleet to one or at the most two types to cut down on cost and spare the passengers from disappointment. Personally, I find these seats and the In-Flight Entertainment system to be average, definitely not the best out there. Between this and Malindo, I prefer the latter. In-flight service on this flight overall is decent for this short hop and probably better than my last flight with Malindo. I will fly with this airline again in the near future to other destination. Despite its past events, the future of this airline does look bright and exciting especially with the CEO, Christoph Mueller who joined the airline late last year to change the fortune of the airline. He has plans to make changes to this airline which may include changing the name of the airline. So watch this space! Click here for my part 2. Luckily the flight sector is short. Hope you get the newer cabin on your next MH 738 flight.